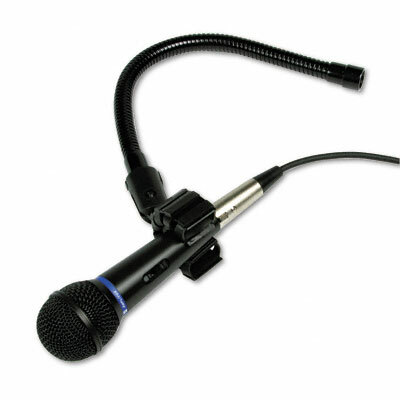 Professional cardioid dynamic handheld mic offers professional sound quality and smooth frequency response. Included shockmount mic clip helps reduce handling noise and annoying feedback problems. Included gooseneck attaches quickly and adjusts to accommodate speakers of various heights. Solid, cast metal construction ensures long-term durability.